Long time customers will know that we have done handheld productivity applications for a number of platforms, including iOS, webOS and Android. 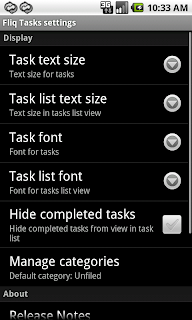 Sometimes this is because a platform does not have an included application that supports a data type that we want to sync -- for example, Android does not include a note pad or a tasks/to-do list application. Other times this is because the device includes an application, but there is no way for a 3rd party developer to get at the data -- this was the case for notes and iOS (no API for us to get at the data). For us, we look at this as a great opportunity to provide two things at once -- both the handheld application to handle the data, as well as the functionality to sync that data with your Mac or PC desktop. 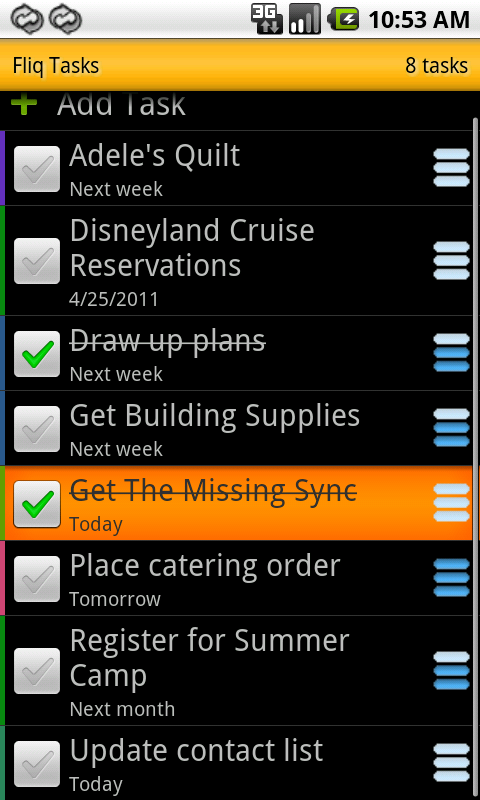 To date we have done Android apps to handle notes (Fliq Notes) and calendar data (Fliq Calendar). As part of the roadmap for Missing Sync for Android, and since we did the first 1.0 release of that product, we have always identified that we would add support for tasks, and today we get closer to that step with the first public beta release of Fliq Tasks in the Android Market. 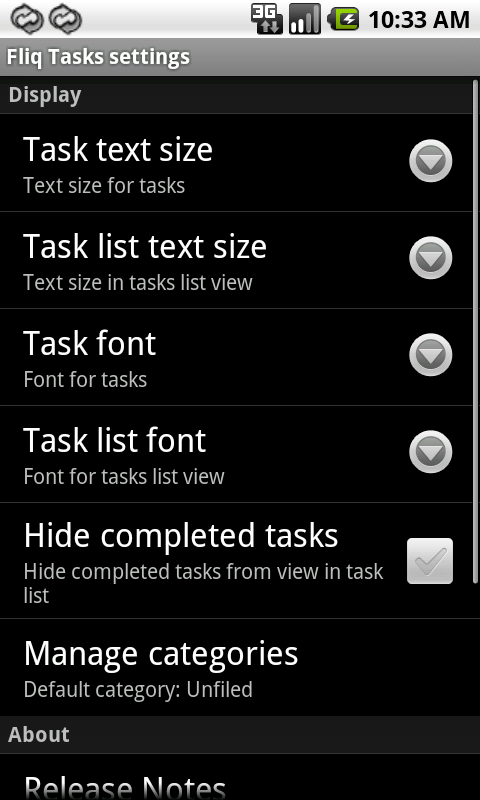 We encourage you to try this public beta version of Fliq Tasks for Android. 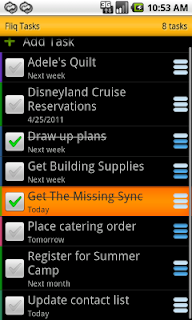 This version is being posted in the Android market ahead of the upcoming Mac and PC 1.6 update of The Missing Sync for Android so that we can collect feedback on the Android application itself.